I've Got a Solid Bee. | sew. quilt. explore. | modern quilting | tutorials: I've Got a Solid Bee. I was lucky enough to be put in the Solids Hive for the 3x6 Bee this quarter! I have been wanting to play with solids for months now and I finally have my chance! There are some very talented ladies in this bunch so I'm excited to see what we create! First of all, between the other 6 ladies and their colors choices I realized that I needed to supplement my meager stash of solids. 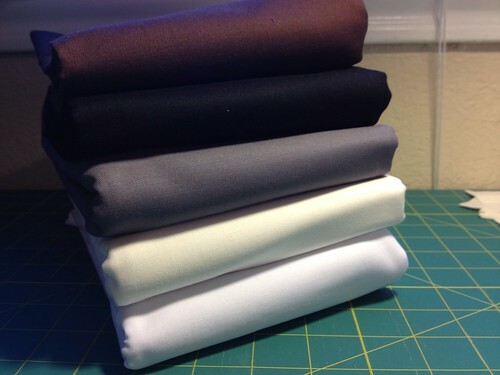 After I wrote my list of 12 new colors I had to have (aka just really wanted), I skipped on over to the fabric store and I now have a decent start on a rainbow of solids. There are still a few I need to get, a light blue, a periwinkle, a sea green, and a lighter aqua. I had already done well stocking up on neutrals so I am good there. While I was getting my fabric cut, I happened to see this little print behind the counter. How frickin' adorable is this? So of course I grabbed some. I'm very happy with my purchases and am looking forward to getting to use them in my upcoming bee! 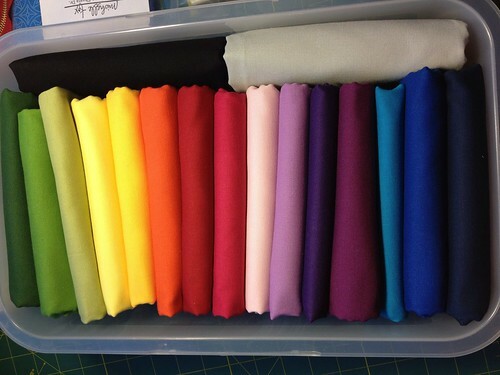 Seeing the rainbow of fabric makes me smile :) I just love it! 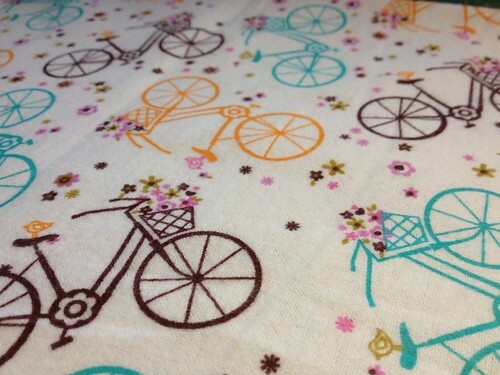 What fun fabric, I love the flowers and the little birds on the seat!! I hope your having a wonderful day!